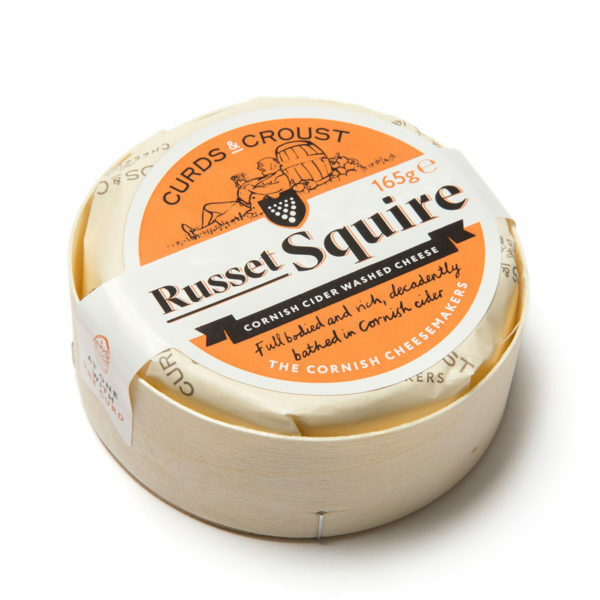 The Russet Squire is the newest member of our Curds & Croust family. 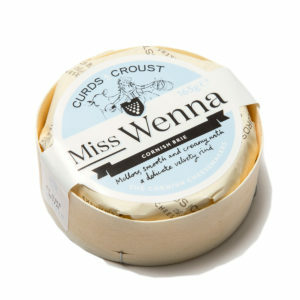 This immediately recognisable fellow is brushed with Cornish cider, often seven or eight times to get that unmistakable russet look to its soft washed rind. Full flavoured and rich with sweet, decadent, scrumptious notes that will leave you wanting more. 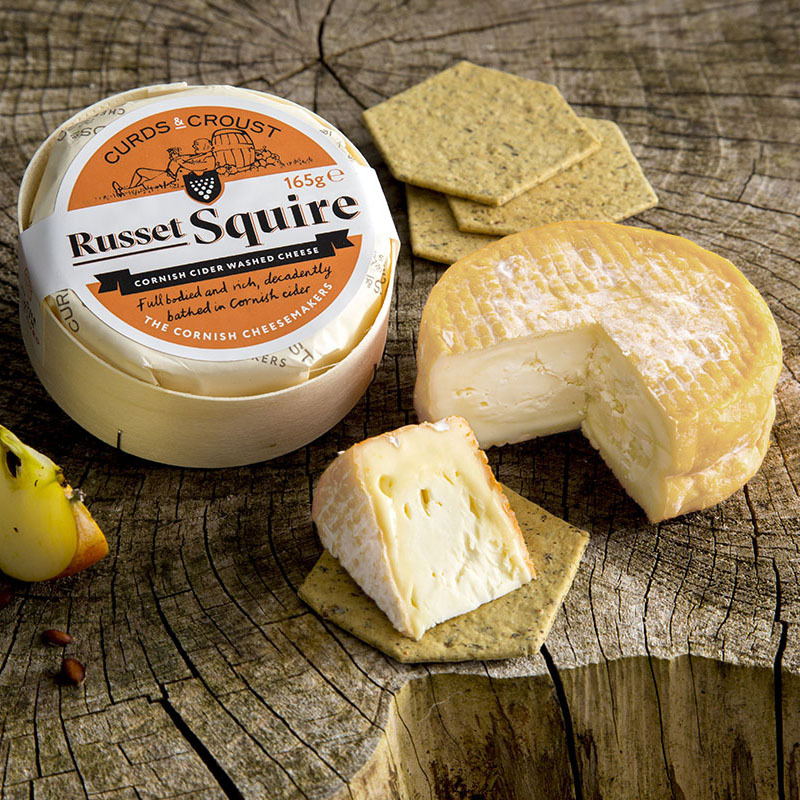 The Russet Squire is unique in the fact that he can be enjoyed early in life and when fully matured. 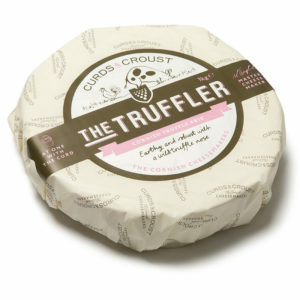 In the early days, he will display sweet and fruity notes, alongside a slightly pink and orange edible rind. Over time, that rind will intensify in colour and become a deep rustic auburn colour. 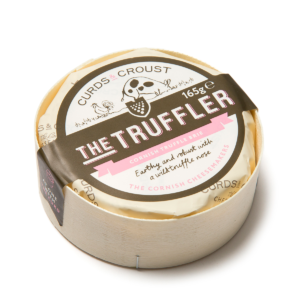 The favour will also intensify, presenting a meaty, and pungent smelling cheese, with the slightly sweet notes of the cider left to linger on your palate. 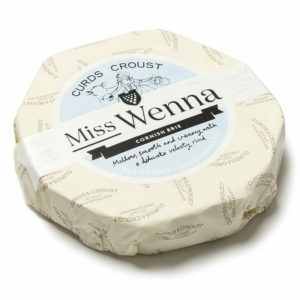 When sliced open this cheese is fresh and milky with sweet aroma of the Cornish Cider. Over life, the aroma intensifies but remains overall creamy. Leave him to ripen, and prepare to be astonished by this bold infusion of flavour.